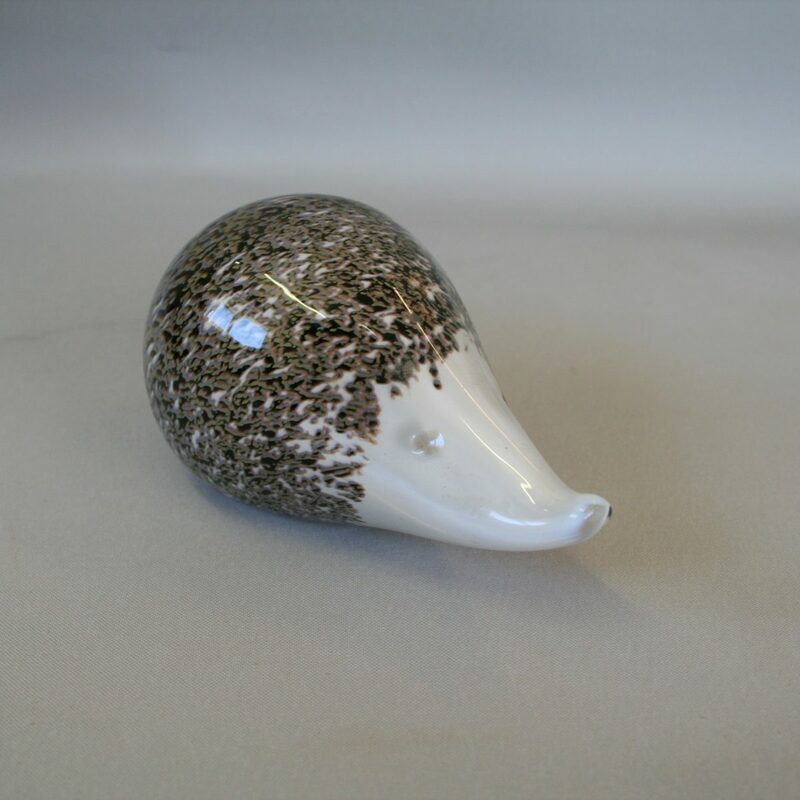 A Wedgwood glass paperweight in the shape of a hedgehog. 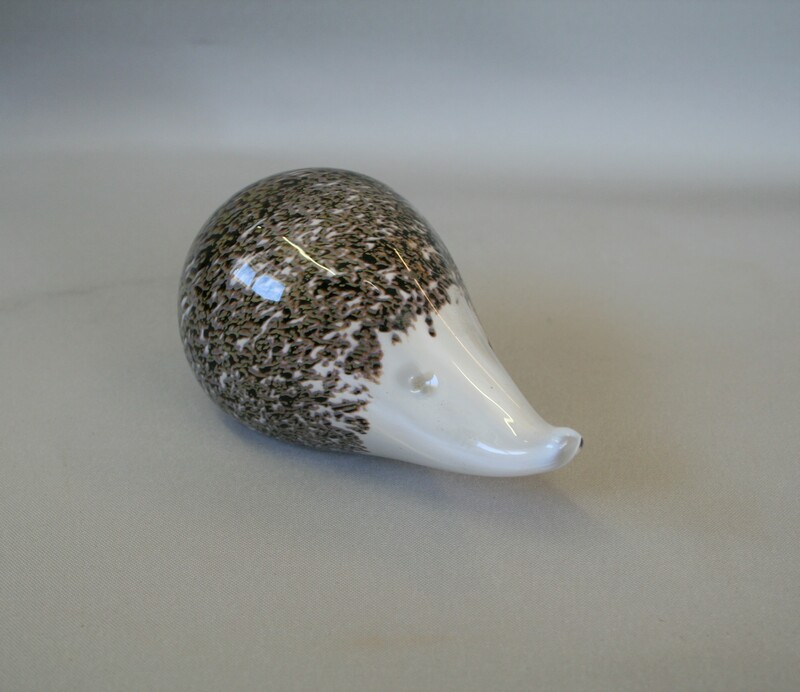 The body area is in brown and white, and the head is white. The base is etched with the Wedgwood stamp.